Have Fun Learning to Sign! 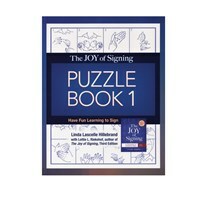 This book helps to make remembering and using sign language easy and fun. You will experience satisfaction as you play and learn with it. Includes answer key.